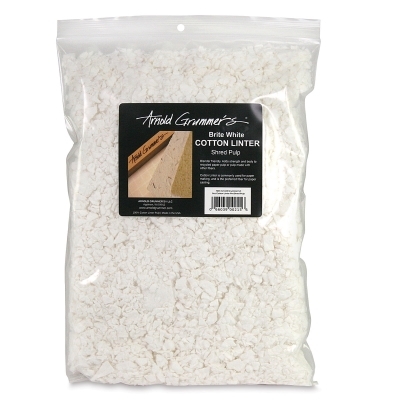 Available in sheet or pre-shred form and sold by weight, Arnold Grummer's Cotton Linters are easily rehydrated, blender friendly, and simple to use. Cotton linters are commonly used fibers for paper making and paper casting. Recyclable, renewable, and made in the USA.